These engines showed up in 1928. One outstanding feature is the flywheels are solid with three round holes. 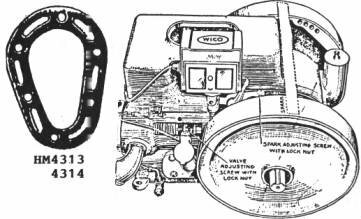 The "XI" is a gasoline only hit & miss engine, while the "XK" is gasoline or kerosene and throttle goverened. 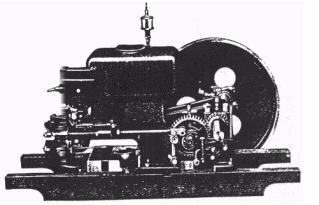 Other than the flywheels the 6 & 8HP models are the same as the earlier 5 & 7HP models and you may use the preceding list for Hercules to order parts for these sizes only. We have various used parts available for these engines as well. 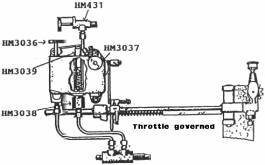 The "J" are enclosed crankcase self oiling engines manufactured in the early 30's. More than once they have mistakenly been referred to as "made by Cushman". Put them side by side and they're not even close. Like the "X" models, the "I" refers to gas only and the "K" to kerosene. Most of the "JK's" were sold by Sear's with the Economy trademark. Although many parts inter-change, all our used parts have come from "JK" models.